Want to know what everyone will be searching for this spring ahead of time? 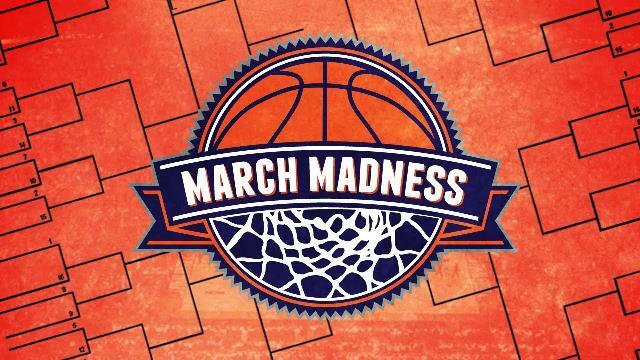 Yahoo claims to have the answers in their newly revealed list of top search trends for this spring. 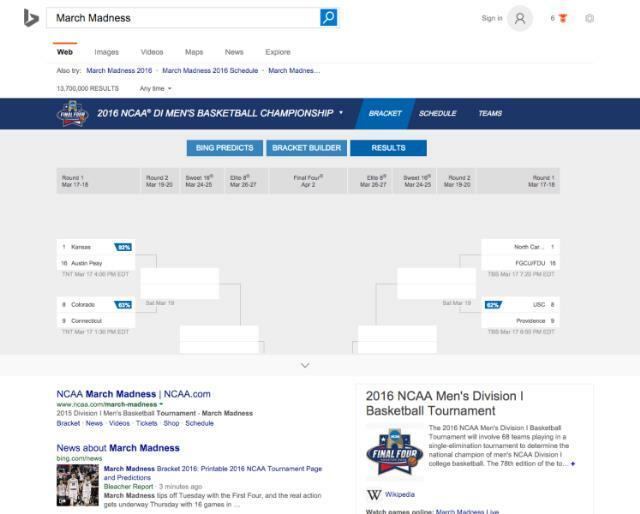 Using search data from last year and recent months, Yahoo uncovered the top trends in search to keep an eye on this season. DIY: Spring is the season of house improvement projects, which means people are searching for “how to” tips for their new venture. January, March, and April are the peak months for “how to build” searches, especially in the Southeast. In particular, Yahoo says sheds, tree houses, decks, and raised garden beds are especially popular this year. Painting: Along with DIY projects, searches for phrases like “what paint colors go with…” are going up. Putting a new paint of coat on living rooms and kitchens are the most popular projects for many searchers this year, according to Yahoo. Organization: As people are making the switch from their winter clothes to their warm-weather wardrobe, there’s going to be a big increase searches for closet organization. Outdoors: Searchers are also getting ready for the warm weather by searching for outdoor equipment and furniture like patio furniture, outdoor furniture, lawn mowers, and spring sets. BBQs: Unsurprisingly, searches for “grills” go way, way up from March to May. Chairs: Adirondack chairs are a big item this year, looking to peak in April. Interestingly, Yahoo says people searching for this style of chair are also 98% more likely to drive a luxury SUV. Taxes: Up until Tax Day, this is going to be a popular topic for searchers every year. However, this year has some noteworthy changes from the past. Over a quarter of searches for “tax prep” are expected to come from mobile devices, and those looking for tax prep advice are skewing younger than 35 years-old with an annual income below $75k. Yahoo is offering this information to help search marketers and seasonal businesses refine their content strategies and get ahead of the trends this year. If you act now, you can take advantage of the insight to make yourself the first choice as this year’s hot searches heat up. Google has always kept it search engine ranking algorithm a closely guarded secret, but it is finally letting webmasters and online marketers in on the three most important factors for ranking well. 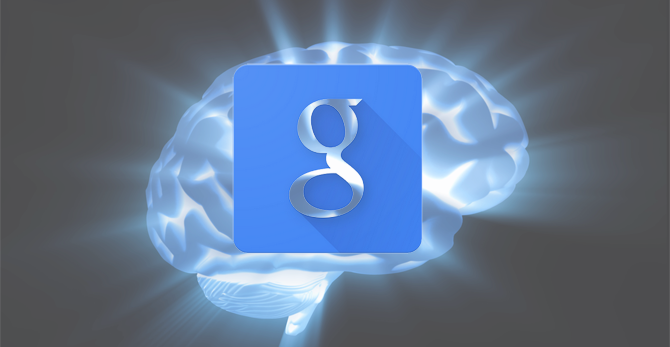 Google has confirmed the top three ranking factors are links, content, and RankBrain. The news isn’t much of a surprise. Links have long been one of the most important signals for websites, and content has become an essential cornerstone of SEO in recent years. Google said RankBrain was the third most important ranking signal last year, but its inclusion is still a little puzzling. RankBrain is technically a part of the Google algorithm, but it is hard to call it a search signal so much as an artificial intelligence system which informs Google’s main search algorithm. Of course, there are over 200 search signals and Lipattsev suggested “there is no order” to the most important search signals, so don’t expect a complete ordered list of search factors anytime soon. You can see the video of the Google hangout below, with Lipattsev responding to the question around the 30:20 point. When Twitter’s algorithmic timelines started appearing as a test on the social media site, you would have thought they had announced users had to commit a sacrifice before posting. Angry memes were shared, many users threatened to leave the site, and the “end of Twitter” seemed to be on the horizon. It turns out first impressions don’t always mean anything. Despite the initial uproar, Twitter’s algorithmic timeline is actually going over well and will soon become the default for all users. This isn’t a case of users being slow to opt-out either. Data shows users are engaging with it more frequently in almost every way compared to the traditional chronologic timeline. Users with the new timeline are tweeting, replying, retweeting, and favoriting more than ever. Part of the warm reception may be related to how Twitter is handling the rollout. Instead of pushing out the change to everyone all at once, Twitter is gradually rolling it out and notifying every user individually as their timeline changes. While Twitter is changing some things up, another controversial move by the site appears to be on the backburner for now. During an appearance on the Today Show, Twitter CEO Jack Dorsey stressed the site would be retaining its 140 character limit for Tweets. The update is going to roll out gradually, meaning its impact will be even less noticeable. Since the mobile-friendly algorithm runs on a page-by-page basis, it could take some time for Google to re-index all affected pages. Between the slow rollout and the limited expected impact, the update might not seem like much to get excited about. But, if your site isn’t mobile-friendly, it means you have even more motivation to make the change before May. Even if your audience isn’t particularly likely to convert on mobile, you could be missing out on leads and traffic that is going to your competitors instead. You can use the Google mobile-friendly tool to make sure your site passes the bar and won’t be impacted by the coming update. Google Analytics is an essential tool for webmasters and marketers looking to take control of their marketing efforts and increase both revenue and engagement. Now, Google is taking the platform even further with the introduction of the new enterprise-oriented measurement platform, Google Analytics 360 Suite. The new platform is intended to deliver an enterprise-oriented analytics service that is both comprehensive and easy-to-use while focusing in on those brief moments of engagement and opportunity. Google has remained mum on if there are any new data sources feeding into the Suite, and cross-device tracking remains the same. Rather, Google Analytics 360 Suite is intended to expand upon Google Analytics Premium, its previous enterprise-oriented analytics platform. Google Audience Center 360 (beta). This powerful data management platform (DMP) helps marketers understand their customers and find more like them across channels, devices, and campaigns. It offers native integration with Google and DoubleClick, plus it’s open to third-party data providers, DSPs and more. All these tools are available on the dashboard, and Google has said the platform also includes a broad set of integrated third-party providers, such as customer relationship management platforms. The individual products will be offered à la carte, under to-be-announced pricing. Google Analytics Premium and Adometry will be relaunched under the Google Analytics 360 Suite platform “in the coming months.” Google Analytics Premium and Adometry customers will also be offered access to the new tools in a limited beta test in the future. As promised, Google is launching ads in Android search results which will allow users to test out games before deciding whether to download them. Google announced the feature was coming in the next few weeks during its Developer Day at Game Developer Conference in San Francisco on Monday. With the launch of AdWords Search Trial Run Ads, app advertisers can now create ads with a “Try now” button as well as a download button. If Android users choose to try out the app, they will be able to preview the app for 10 minutes before deciding if they want to download it from the Google Play Store. 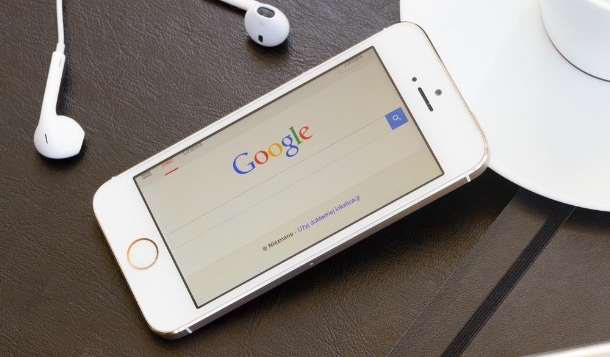 Google has been testing out the feature since December, however, those app previews were limited to just 60 seconds. The longer trial period should allow test-drivers to get a better feel for the app and make a more informed decision. The new feature is aimed at helping users choose to download only apps that will actually be used. According to Google, just one in four apps are ever used after being downloaded. Hopefully, the test-drive feature will increase the chances a user will stay engaged with the app beyond the time of install. During the conference, Google also announced that Portrait Video Ads in mobile apps will be coming shortly. The company says 80 percent of video ad views in mobile apps on the Google Display Network are viewed vertically, however, the majority of ads are created to be viewed in landscape orientation. Early tests suggest the new ad orientation significantly improves both click-through and conversion rates. This leads to lower cost per install and more installs overall from Portrait Video Ads. Pinterest’s promoted pins and ads have made a huge splash in the 18 months of beta testing its small platform with select brands, and now it is set to become even bigger. The site is rolling out its ad tool, Promoted Pins Ad Manager, to all small and midsize brands in the United States. Pinterest also noted that marketers who spend at least $1 per day advertising on Pinterest see a 20 percent increase in clicks on their posts. Pinterest Pins function just like normal Pins on the site, however, they are shown to more people than a typical Pin. By using the Pinterest Ads Manager, you can target exactly who you want to see your Pins based on interest targeting, keywords, or customer database targeting using your customer list. While most users still think of Facebook as mostly a way to interact with their friends, post selfies, and share information, many businesses and marketers are starting to realize just how powerful Facebook’s advertising platform is. While Facebook ads can be an incredibly powerful way to boost your content and your brand’s recognition, it can be hard to stand out among the over 3 million advertisers on the platform. Creating the perfect ad to rise above the noise and grab the attention of your audience means balancing several different factors, including the optimal amount of text, creating images and videos with the perfect dimensions, and knowing where to best reach users on the page. For a brand just getting started with Facebook ads, it can all be a little overwhelming. Thankfully, WebpageFX recently shared the infographic below, which details everything you need to know to make the perfect Facebook ad. Want to make the perfect Facebook ad for your business and guarantee you reach your audience? TMO can help. Contact us and we can review your advertising efforts and tell you how to optimize them to get the most out of your advertising. Despite once being the gold standard for assessing a site’s authority and optimization, Google announced this week it will be shutting down PageRank and all toolbars featuring the tool will no longer show a PageRank score. The algorithm-based tool would assess web pages and rank them on a scale of one to ten based on numerous signals that Google uses to evaluate pages. It was an easy-to-understand way to quickly “score” a website and know if optimization, link building, or other marketing efforts were having a positive effect. However, the tool has not been updated in years. Many webmasters have been holding onto hope that PageRank would get an algorithm update, but the company has been slowly moving away from it for some time. PageRank scores were never displayed inside Google Chrome, and the scored were dropped from Google Search Console in 2009. The Google Open Directory website, which showed PageRank metrics, was also shut down in 2010. The last bastion of the PageRank score was the IE Google toolbar, which continued to show scores up until now. Google has confirmed it will not be updating the tool for the public, but it will continue to be used by Google internally. The move signals a big shift away from Google’s old way of doing things, but in practical terms it will change very little. Since PageRank hadn’t been updated since 2013, SEOs and webmasters have learned to rely on other tools and methods of assessing their marketing efforts.